Best known as the creator and publisher of the (in)famous ‘occultzine’, NOX (1986-1992) the author’s first full-length book was Monstrous Cults (New World Images, 1992) a study of the devolution of mankind’s spiritual consciousness over vast epochs, with an introduction by the respected poet Peter Redgrove. 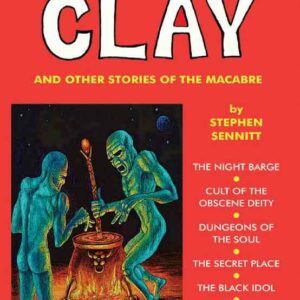 Sennitt’s other forays into cultic territory include a pioneering work about The Process Church Of The Final Judgement and contributions to numerous magazines and anthologies, including Rapid Eye, EsoTerra, The Lamp Of Thoth, Chaos International, Dark Doctrines, Starfire, Formaos, Joel Biroco’s Kaos and Carl Abrahamsson’s The Fenris Wolf. From 1997 Sennitt became a regular contributor to David Kerekes’ Headpress magazine and is also the author of two Headpress books – Ghastly Terror! The Horrible Story Of The Horror Comics (1999) and a collection of his weird fiction Creatures Of Clay (2003). He is also a major contributor to Headpress’ The Complete Illustrated History Of The Skywald Horror-Mood (2005) and Fight Your Own War (2016). Other horror fiction and comics work appear in Creation Books’ Red Stains and The Starry Wisdom – A Tribute To H. P Lovecraft, John Gallagher’s Bedlam and Saga Of The Victims and Peter Normanton’s From The Tomb and The Mammoth Book Of Horror Comics. In 1997 Sennitt helmed a new occult imprint, Logos Press which released four titles. A compilation of some of the Logos material, The Infernal Texts: NOX & Liber Koth is published by Original Falcon, now in its third edition. 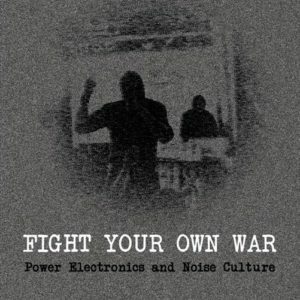 Counter Productions referred to Sennitt as a ‘small-press legend’ and he has received numerous accolades from many voices in the underground scene, a testament to his contribution for thirty-five years to magick/occult studies and the wider culture of transgression.